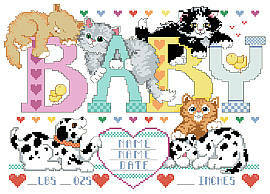 Treasure forever memories of a baby girl or boy with this easy-to-stitch counted cross stitch design from the Kooler Design Studio Collection. These adorable pets make a great addition to any nursery decor! 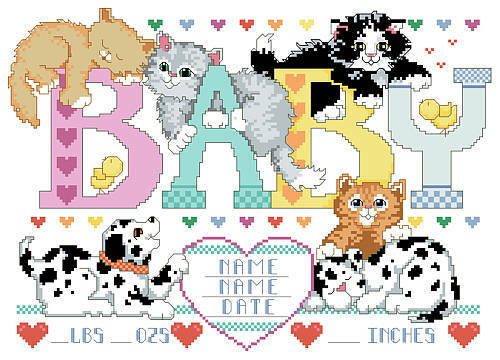 Includes a full alphabet for customizing with baby's name. Contents: Stitch count 169w X 120h, Finished size on 14 count: 12" X 8-1/2"